Sometimes it’s good to go back and revisit some of the classics from the annals of children’s literature. Everyone knows Charlotte’s Web. I grew up with the animated movie with the pig who excels at both whining and singing. Then they made the live-action version with Dakota Fanning, which I never saw and don’t plan to see. But recently my son and I went back to the original book, published over 60 years ago. Not every children’s book has the kind of staying power that Charlotte’s Web has. Heck, I even considered Charlotte as a name if I had a daughter. Even E.B. 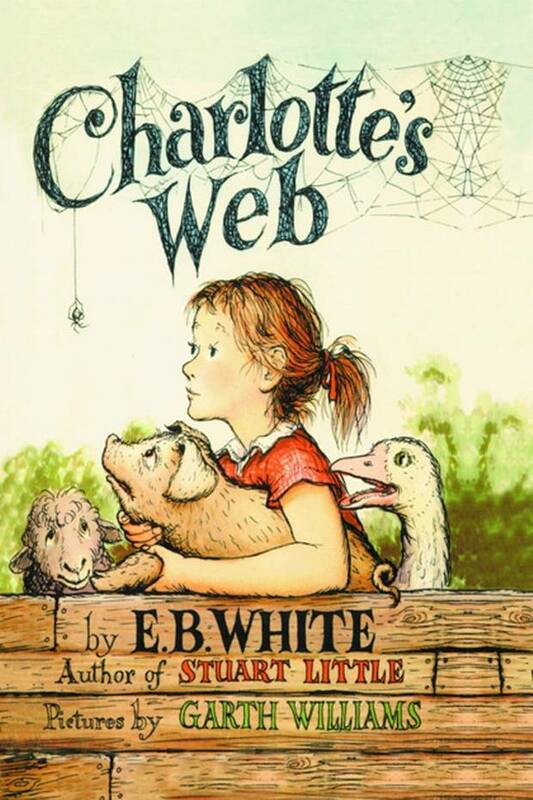 White’s other novels are notably less known, though Stuart Little and The Trumpet of the Swan are well-loved, neither has captured the hearts of children quite like Charlotte’s Web. Interesting side note: the “White” in Strunk and White’s Elements of Style is E.B. White. Thanks, Wikipedia! As you know, this book tells the story of a girl named Fern who saves a runt pig from the chopping block. She names him Wilbur and keeps him as a pet until he is sold to the Zuckermans. As Wilbur begins adjusting to life in the barnyard he makes a number of friends but none as remarkable as Charlotte, a clever little spider who lives in his barn. Her incredible ornate webs, celebrating the singularity of the pig, help to spare him once more from slaughter. As he grows older he befriends the sheep and geese and even, to an extent the greedy little rat Templeton (who happens to be my favorite character). Filled with hope, magic, and of course sadness, they just don’t make children’s books like this anymore. There are thousands of children’s books out there and more being released all the time but it’s great to go back and rediscover the gems of generations past. This one should definitely be on your bedtime stories list.